When in need of a fancy photograph, head to your nearest water body. Bonus points for the golden hour and wildlife. Great one! Just too good…I am not a very big fan of ducks buy got to say that they make really good photo subjects. Very nice! Like the serene feeling this pic projects. As you said, the best combination of time and place. 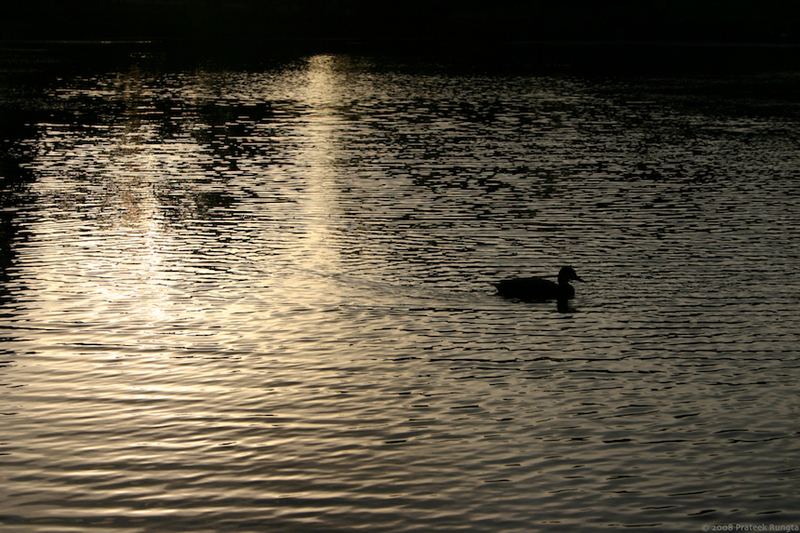 And nice capture of the ripple effect the ducks made around itself. Good use of the silhouette effect! The twilight hour is indeed a special time for outdoor photography.